Red Dead Redemption 2 has suffered a surprising number of leaks in the lead-up to its official launch later this week. 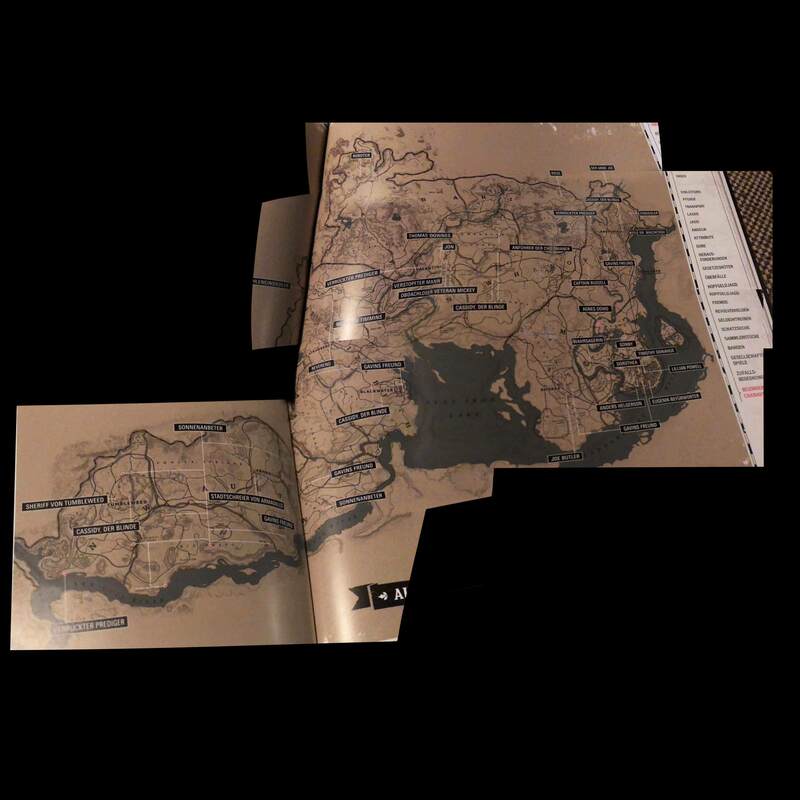 Now we know what the full map of the game looks like thanks to scanned images of the official guide book. While these aren't the cleanest scans, they're legible enough to get a good layout of the land as well as specific locales from Red Dead Redemption 2. While it's been removed from certain social media, the maps are making their way around Reddit anyways. Red Dead Redemption 2 includes a number of locations from the original Red Dead Redemption north of Mexico. Armadillo, MacFarlane's Ranch, Tumbleweed, Blackwater, and more are all present in Red Dead Redemption 2. The northern part of the map is where the new stuff appears, and it's larger than the map from the original Red Dead Redemption, which is also included making Red Dead Redemption 2 significantly larger than the first game. Since you've made it to the end of the story it's probably safe to assume spoilers don't bother you. There's been gameplay leaks, mechanic teases, and more making their way online presumably from players with early copies and itchy trigger fingers. You can find out everything we know about Red Dead Redemption 2 in our guide here. Red Dead Redemption 2 is out on October 26 for PlayStation 4 and Xbox One. Tagged with News,	PlayStation 4,	Rockstar Games,	Xbox One.